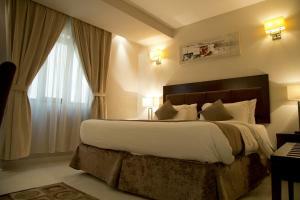 The room was comfortable, breakfast was good and would not take a time when you ask for it. 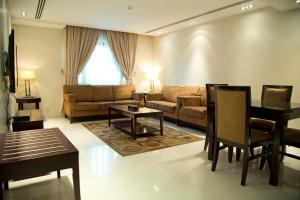 Location is great and very close to AlRashid Mall Apartment is spacious with nice design. Breakfast was free for the first night. Washing machine is also an advantage. مستوى النظافة ممتاز .السرير كان مريح جدا.. طاقم العمل جيد...والصيعري ممتاز.. 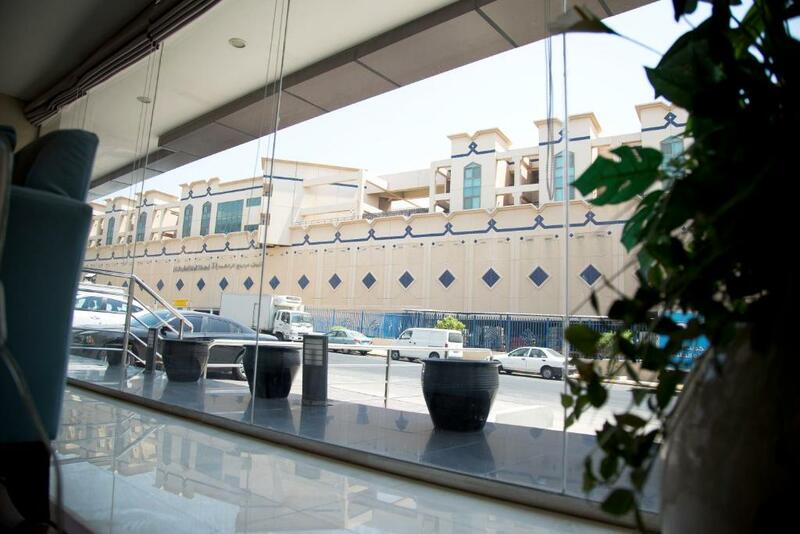 Located a 1-minute walk from Al Rashid Mall, this hotel offers guests modern apartments that include a kitchen and a living room with flat-screen TV. The Arabian Gulf is only a 10-minute car drive away. Free Wi-Fi and air conditioning are standard in all apartments, which are decorated in light tones. 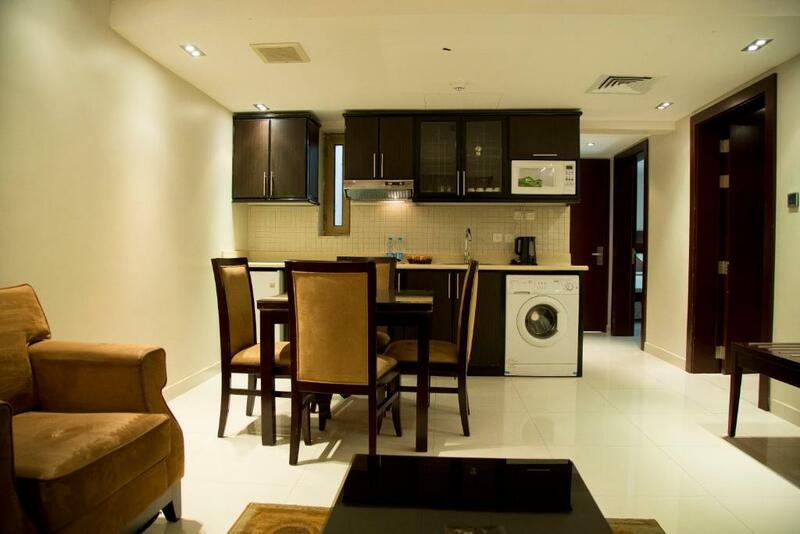 Each kitchen is equipped with a microwave, refrigerator and washing machine. 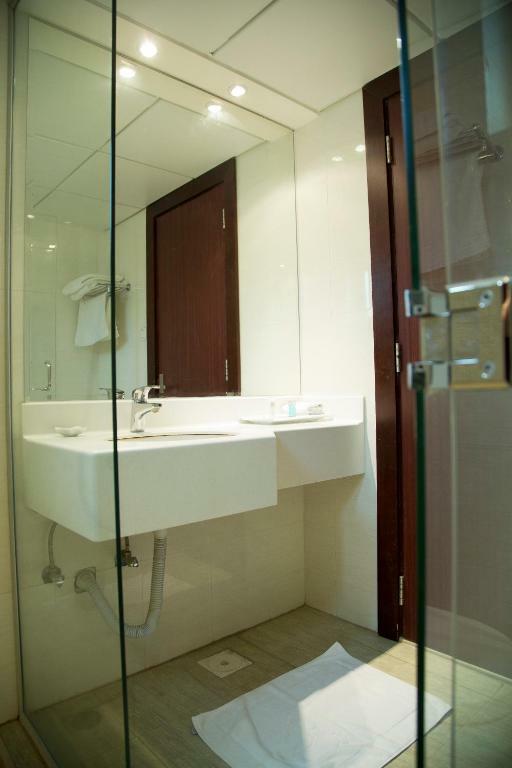 The 24-hour reception can arrange luggage storage and free private parking. King Fahd Airport is 26 mi away from Le Care Hotel. The nearest supermarket can be found within a 2-minute walk. 뀐 Located in the real heart of Al Khobar, this property has an excellent location score of 8.7! 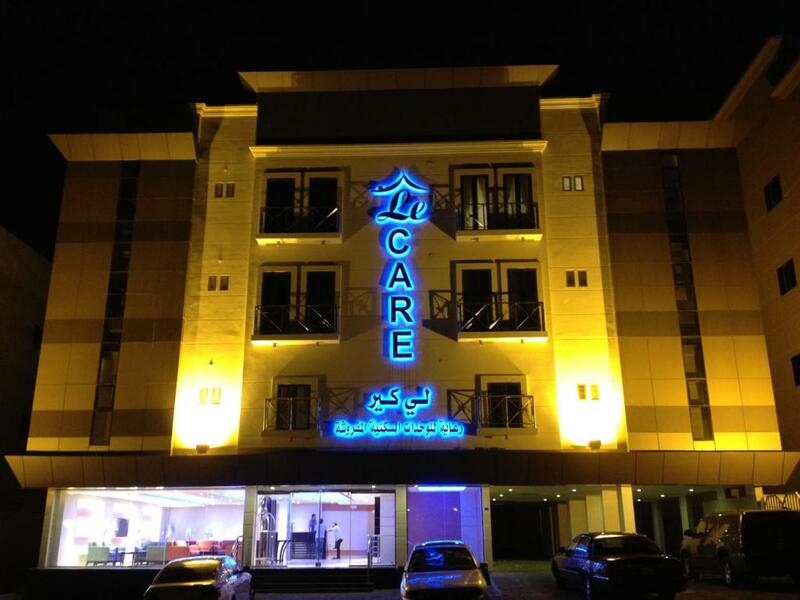 When would you like to stay at Le Care? لي كير شقق فندقية في مدينة الخبر توجد خلف مجمع الراشد, توفر شقق فاخرة من نوع غرفة او غرفتين او ثلاثة, مع صالة معيشة و مطبخ متكامل. يبعد الفندق مسافة دقيقتين( مشياً على الأقدام) عن مجمع الراشد (بوابة رقم 5) ويمكنك الإستفادة من سوبرماركت كارفور, بالإضافة الى مسجد مجمع الراشد. جميع الغرف مصممة بطريقة عصرية و بأثاث حديث. المطبخ يحتوي على ثلاجة, غسالة, فرن. 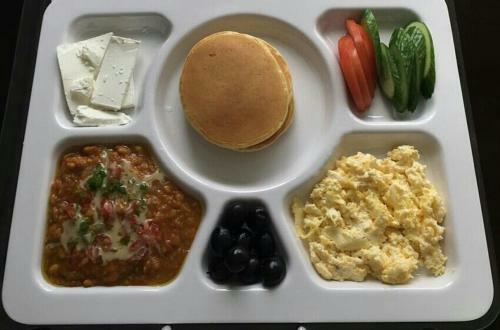 مايكرويف, غلاية ماء, بالإضافة الى أدوات الطعام. يعمل الأستقبال 24 ساعة في اليوم, ويوفر الفندق مواقف سيارات لجميع الزبائن. Area Info – This neighborhood is a great choice for travelers interested in shopping, markets and entertainment – Check location Great location - show map Guests loved walking around the neighborhood! House Rules Le Care takes special requests – add in the next step! One child under 1 year is charged SAR 50 per stay in a crib. Le Care accepts these cards and reserves the right to temporarily hold an amount prior to arrival. Please note the Le Care is strictly a family hotel and doesn't accept bookings from single bachelors. Please inform Le Care of your expected arrival time in advance. You can use the Special Requests box when booking, or contact the property directly using the contact details in your confirmation. improve the toiletories n the bfast varieties.. Very little kitchen tools 1 spoon 1 teabag 1 coffee cup bag. Late for breakfast. As internationally usually breakfast started at 0700H. Here at 0900H. We skip both stay breakfast. Although I get the room, I found it inappropriate to say it is only for families and no singles are allowed specially when they didn’t mention it in the property rules when I made my reservation!!! 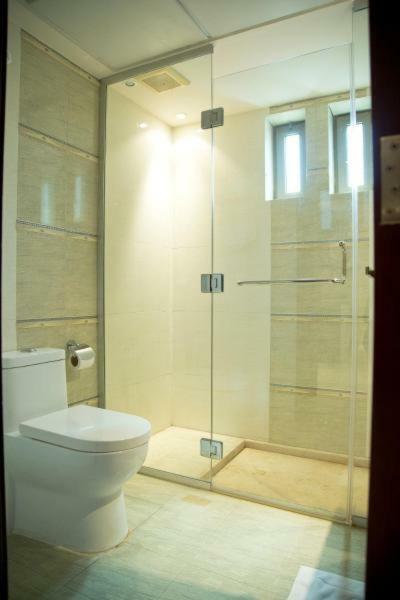 - the floor and toilet wasn't thoroughly cleaned. - some of bad smells specially in the toilet and kitchen. - Credit card machine wasn't working while the arrival date for the whole day. Bad smell everywhere in the rooms and hotel floor. Bed is not comfortable and not much clean. Water leakage in the bathroom. Towels are very old. Cleanses is below average.